When Anna Faris and Chris Pratt announced they were separating after eight years of marriage on Sunday, the news came as a shock to all. Fans on social media couldn't get over the fact that one of their favorite celebrity couples was calling it quits for good. Now, ET's taking a trip down memory lane and rounding up all the times the two publicly talked about marriage in the past few years. 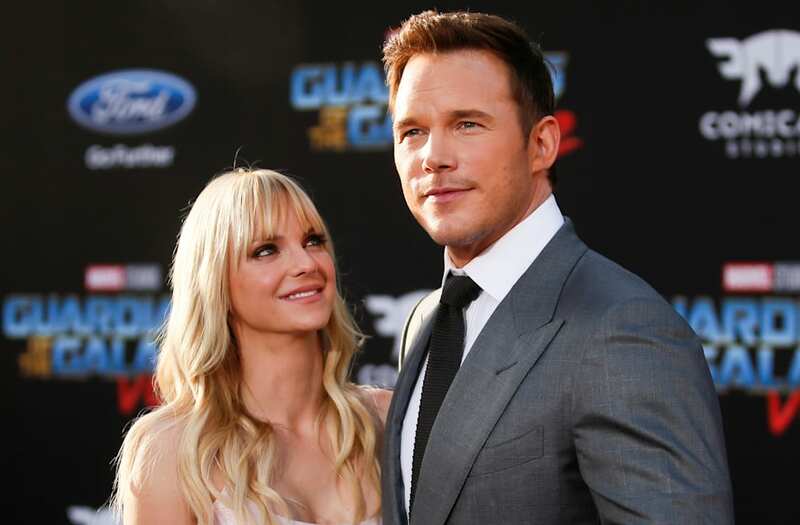 ET caught up with the former couple on the red carpet at Pratt's Jurassic World premiere in June 2015, where they shared their tips and tricks to making marriage work. "These are the work years. The gravy years are to come," Pratt exclaimed. "The way we work it out is we just take at least one moment every day to be present with one another. Whether or not we're in the same room, or the same state, or even the same country, we check in, you know?" "Our motto is, 'Eye on the prize,'" he added. In August 2015, a tabloid report surfaced claiming Faris was concerned Pratt was going to cheat on her with his Passengers co-star, Jennifer Lawrence. The blond beauty slammed the rumors, telling Us Weekly at the time that the claims were "weirdly stinging." "It's been a little devastating because for us, it's like, 'What the heck?'" said Faris, who shares a 4-year-old son named Jack with Pratt. "This has been blindsiding to us. We have an incredible relationship. I am very lucky that I am with a man [who] values family." 3. Faris admitted relationship rumors made her feel "insecure"
Last December, rumors continued circulating that Faris, 40, and Pratt, 38, had a strained relationship, and during one of her Anna Faris Is Unqualified podcasts, the Mom star revealed the fabricated stories started to get to her. "We grapple with the idea of being a public couple," she explained. "For the first time, maybe a year ago or 10 months ago, we were in the public a little bit. There were some tabloid rumors about strain on our relationship. I just remember feeling so hurt in a way that bothered me because I didn't want to think of myself as somebody that could be affected by tabloid s**t. There's a picture of me walking alone on the beach -- aging Anna Faris, alone on the beach." "I take pride in how great my relationship is with Chris, but, having said that, of course, in this crazy world where he's off doing movies and I'm in L.A. raising our child, of course I'm going to feel vulnerable, like any normal human would," she added. "It did make me feel like, 'Is public perception -- even though it's false -- is there a grain of something?' It made me feel incredibly insecure." That same month, Faris walked the red carpet with Pratt at the Passengers premiere in Los Angeles, debuting a giant upgraded wedding ring from her husband. "[Chris] just got me this ring. I know. Like two days ago," Faris gushed to E! News at the time. "I look [at it] and I'm like, 'I can't believe it either!' He's an incredibly romantic man and I'm very, very lucky." "She got me a tractor," added Pratt. "So we're kind of even!" "I'm in awe," she said of Pratt while chatting with ET in April 2017. "On the way here I was so much more nervous than Chris was... I felt like I've always known he's a brilliant actor. And now I feel like the rest of the world is getting to see that. I'm so thrilled about this movie." "These press tours can be such a whirlwind," he shared on Instagram in April. "I'm grateful to have you and the boy with me on this one. Although it's 3:00am right now, I was just awakened by a square kick to the back as little man climbed into bed and then must have had a karate dream or something and now I can't sleep. I'm on Insta instead. All you dads and moms know what I'm talking about." During another one of her podcast discussions in June, the mother of one revealed she knew Pratt was going to propose to her seven months before he actually did it. "We had talked about getting married and were living together," she explained. "One day I found a bag from a jeweler of the floor of his truck, so I knew something was coming." "My whole family took all of us to Italy and apparently he lugged [the ring] all around Italy and held on to it for a couple months," she added. "I think I knew for like, seven months, and so finally he asked me on my birthday." "I don't think that's something, when you're an actor, that you're prepared for," Faris told People three weeks before their split. "There are two different roles that you play -- the one on-camera and the one in public. That's the tricky part." "Chris loves to work in the garage and I love to do laundry and watch reality television," she continued. "Just normal people." Faris and Pratt met in 2007 at the table read for Take Me Home Tonight, in which their characters played love interests. They started dating shortly after and said "I do" in Bali, Indonesia, in July 2009.